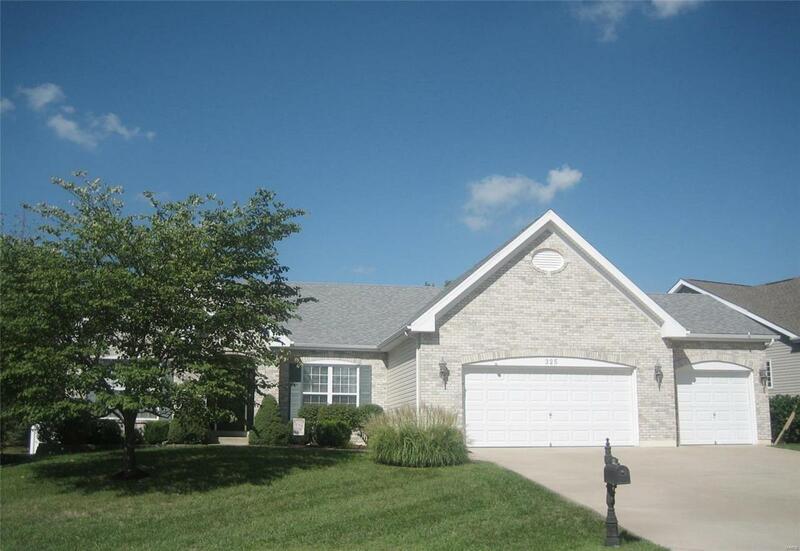 Spacious ranch with the ever-popular split bedroom floor plan on a manicured, fenced lot. Lawn Irrigation system keeps things luscious & green! Luxurious, Upscale Brick elevation sets this one apart! Private Master suite with 5 window bay, luxury bathroom, jet tub & separate shower. Formal dining room, soaring ceilings, huge great room with fireplace, custom kitchen, 42" cabinets. Lower level is ready for finish with partial full bath already completed-full rough-in is available there for future expansion. Generous-sized 3 car garage. This is a spotless home! Minutes from everywhere! Subdivision has wonderful location, includes a lake, playgrounds, park area. Come see before it's gone.